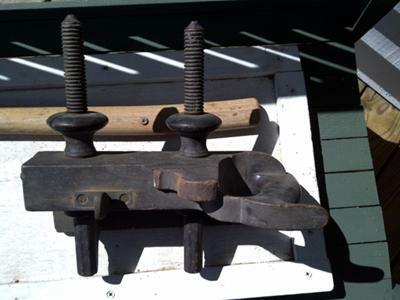 1850's tongue and groove plane? I was given this by a 95 year old man who told me that his grandfather used it in construction of my house. I just restored the house in Georgia and am told it was originally constructed in 1853. So this should date from that time. The house has lots of old tongue and groove wall and ceiling boards that show the original hand planning marks. Does anyone know anything about what this is? Does the story ring true? I have done some searching on the internet and have found nothing that looks like this. Comments for 1850's tongue and groove plane?